I am liking the continual drops in ABT. I will continue adding as long as it keeps dropping below my last purchase price and I am still underweight. I will also be adding to AMGN. Both ABT and AMGN are already set to be bought tomorrow morning and will help add more to my healthcare allocation. I also have cash on the side debating whether I should also buy other healthcare companies that I have been watching for a long time. 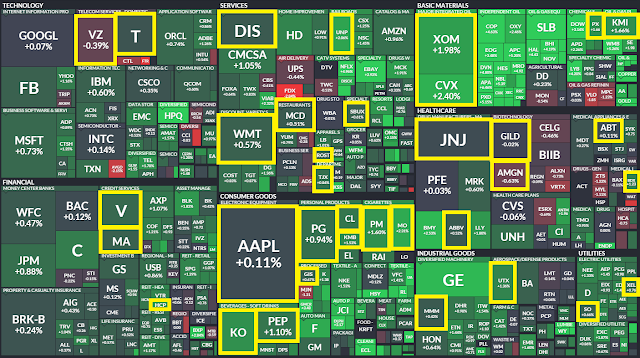 These names include stuff like BDX, JNJ, MDT, and GILD all of which have fallen quite decently in the last several weeks. Stay tuned. Both are core healthcare positions in my portfolio that are buy and hold. The Board of Directors of Philip Morris International Inc. (NYSE/Euronext Paris:PM), today increased the company’s regular quarterly dividend by 2% to an annualized rate of $4.08 per share. 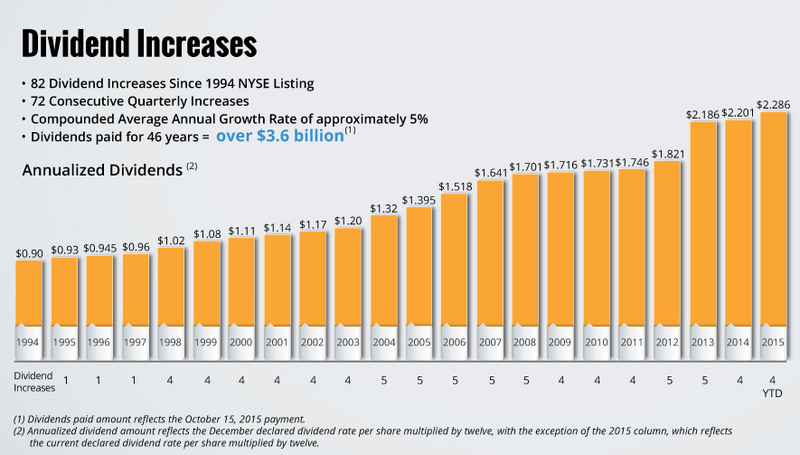 The new quarterly dividend of $1.02 per share, up from $1.00 per share, is payable on October 14, 2015, to stockholders of record as of September 30, 2015. The ex-dividend date is September 28, 2015. For more details on stock, dividends and other information, seewww.pmi.com/investors. I view this as a healthy increase for a time when the foreign exchange rate of the dollar is incredibly bad for US multinationals. I believe their dividends are safe and that it is prudent that PM decided to keep the dividend growth in check until the dollar weakens. I am long PM and MO. 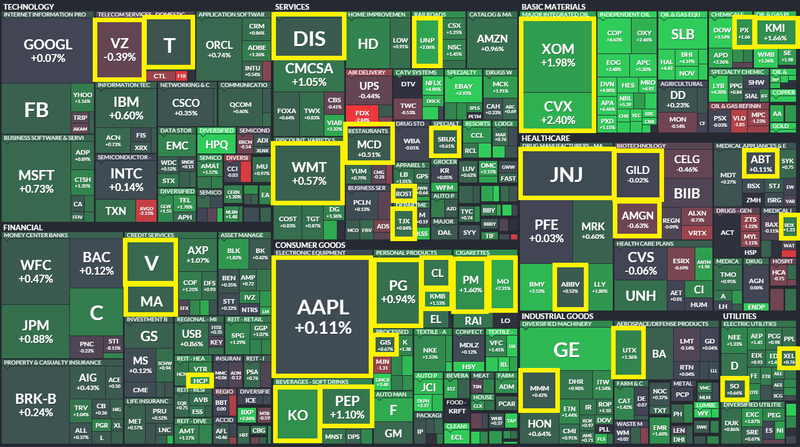 I saw an interesting chart on FINVIZ's website that showed all the largest US companies in a treemap. They are sized according to their market cap. I decided to go through the groups and highlight what I owned. Keep in mind that the size of the boxes are the company's market cap relative to the US stock market. Some companies I own are too small to be seen in this large map. Some of their categories are kind of weird though, for instance AAPL I would think more of as a Tech company. This exercise showed me that I have a tendency to avoid tech and financial stocks. My companies are heavily consumer goods and healthcare. 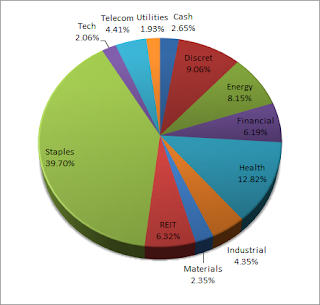 Plotting a pie chart of my portfolio sector weightings shows that I have to work on adding more in several sectors. 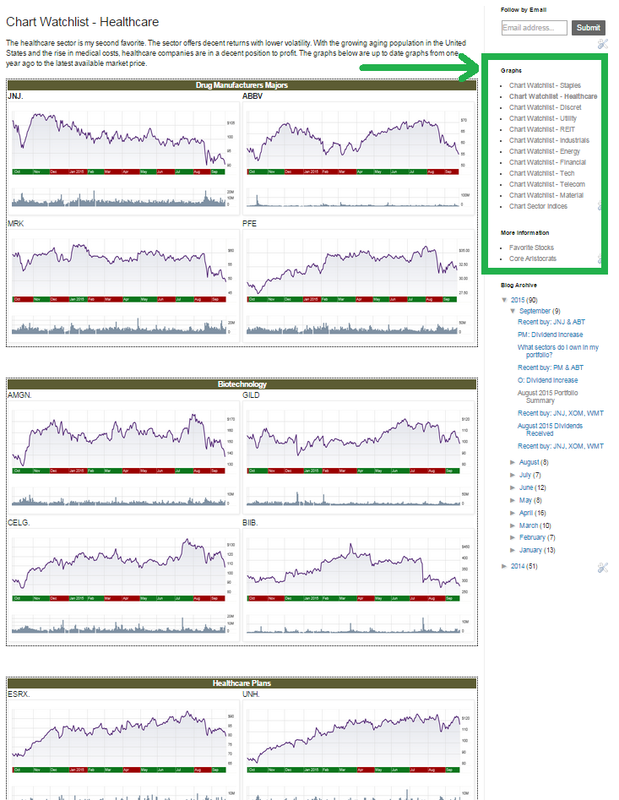 My preference right now in the coming months is to add more to utilities and industrials. My favorites are staples. They provide products everyone uses all the time no matter the economic situation. This helps guarantee the dividend and dividend growth. As time moves on and inflation kicks in, consumers will help fund the growth of the dividend to at least meet inflation. In recessions, people will still continue to shower, eat food, use the bathroom, and drink beverages. My favorite so far is MO. My second favorite is healthcare companies. They provide us a service that people will be forced to pay for eventually if they want to stay healthy. The growing age of the American population will also demand more from this sector. My favorites that I own so far are JNJ and BDX. I have several names in drugs, medical tools/appliances, and biotech sections. I however want to eventually own something in the healthcare plans sector to complete the picture. I am eyeing big names like CVS, UNH, and ESRX all of which have speculator growth prospects and consistent earnings. Discretionary stocks are more volatile but they have higher growth. Usually they have lower yield but higher dividend growth rates. 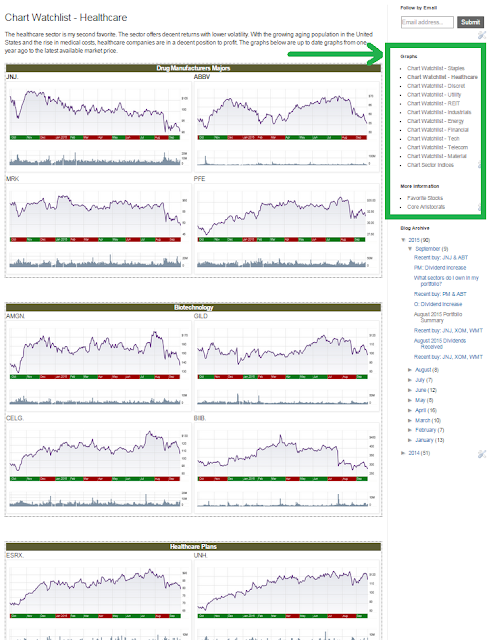 Most of my holdings in this sector are speculative, as I do not have many core holdings in this sector. I will eventually like to own Home Depot or Lowes one day. Ever since I started DGI, I have been waiting for the fed to raise rates before I add more to utilities. Hopefully tomorrow the FOMC meeting announces a rate hike but I have a feeling the fed will do nothing. Utilities are quite attractively valued at the moment and I have my eyes on the quality names like D and NEE, which can be seen in the FINVIZ plot above. I find industrials to be very important for diversity in my portfolio but not essential. I prefer to own the highest quality dividend aristocrats in this category due to the highly cyclical nature of the sector. My favorites are MMM and UTX, both have long histories of dividend increases and steady earnings. Financials: I have a dislike for banks but am willing to own service companies like Visa or Mastercard. I do not have a real desire to own insurance or fund management companies either. REITs can be classified as a financial but I group them in their own REIT category. In general I am rather hesitant to own most REITs except "O". Telecom stocks I only want to own two names: T and VZ. I find the sector to be very low growth and both companies have huge debt. I own these companies for the yield. I don't expect them to grow much. The industry is capitally intensive and price wars are threatening. Since I only want to hold these two quality names, the weightings for this sector will always be low. Although I work in the tech industry, I try to avoid it in my portfolio. The industry is too volatile and unpredictable. Companies must always continue to be cutting edge or face eventual death. This can be seen with old companies like IBM. The only companies I am willing to own that is a quality DGI stock is ADP, but it's too expensive. I hold Apple for speculative reasons only. Due to my preferences, the tech sector will always be a small % of my portfolio. For materials, I tend to want to avoid industries like metals, timber, and mining. 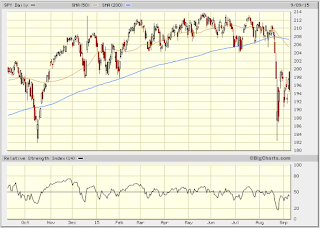 The sector is way too volatile (take a look at BBL's stock graph for instance). The companies are heavily dependent on commodity prices, which has a tendency to fluctuate wildly. prefer guaranteed earnings which helps me sleep better knowing that dividends will be covered with good quality earnings. The only names I want to own in this sector are "PX" and "APD", both are solid dividend growth names with very consistent earnings. Since I do not have a large desire to own a lot of material stocks, the sector will always be a small %. Both are dividend champions (if you consider that they used to be part of companies that were dividend champions before the spinoff). I did not add much this week because I want to hear what the Fed has to say this week. I feel that these two companies are conservative and are high quality heading into the next FOMC. I also want to add to PM before the dividend raise announcement this week. ABT has an A+ credit rating and PM has an A credit rating. ABT has recently spun off so it may be hard to judge valuation and earnings compared to ABT's long historical records. Both companies will be influenced by the strong dollar but I believe in the long term both will be fine as the dollar will eventually revert to the mean. 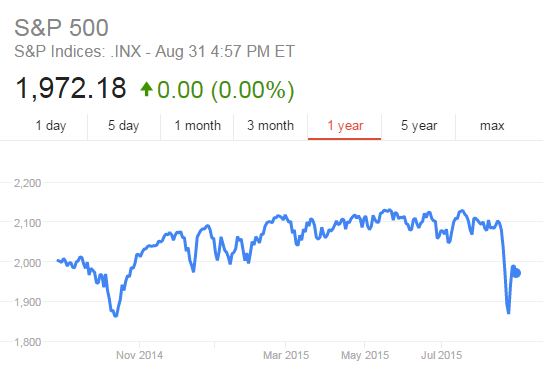 August was an extremely volatile month. 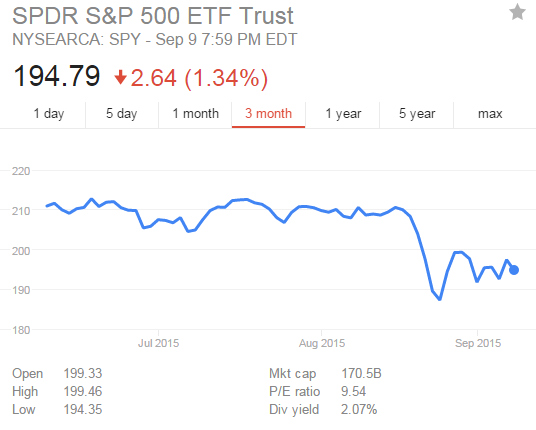 Illustrated below is a graph of what happened to the S&P500. Towards the end of the month, we saw correction level drops in the DOW, NASDAQ, and S&P500. There was a large rebound but ultimately the month finished off quite a lot worse than it started. Although I am not a charter, I think it's interesting to look at graphs once in a while. 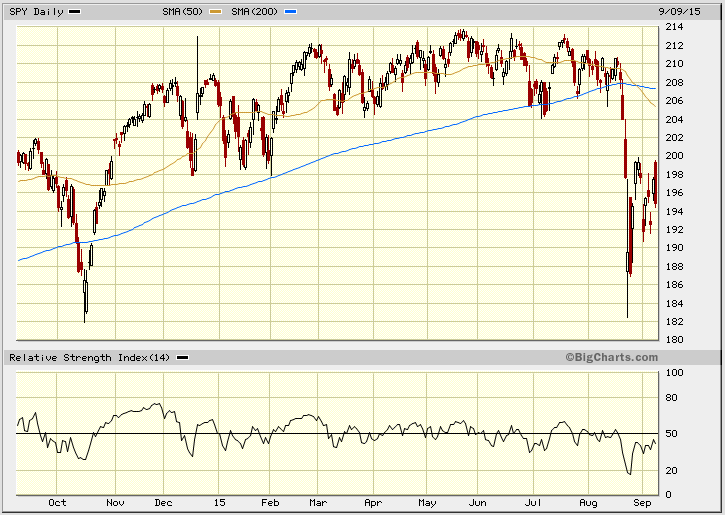 The S&P500 is now below the SMA 50 and SMA 200 moving average. There has been a so called "death cross" earlier. I am hoping there will be further downside so that more of my watchlist can hit their buy targets. I am expecting a dividend increase from PM this week. August was another month of healthy dividends. No dividends have been cut or reduced so far. The portfolio continues to make new highs in dividend received per month. All dividends are set to be reinvested immediately so far. 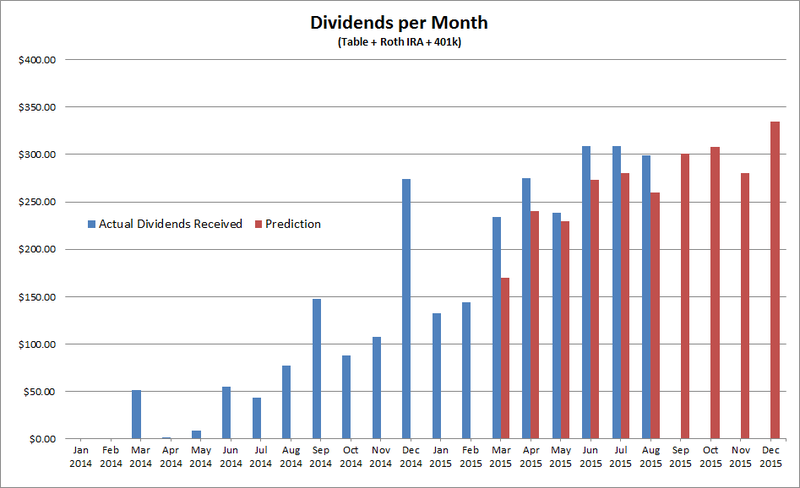 As of posting today, the portfolio is set to earn around $3910 in dividends per year. As of recent, MO has increased their dividends by 8.65%. I expect PM to release news of a dividend increase this month as well.